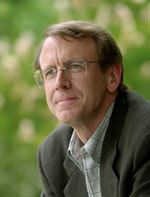 To help provide cleaner energy, transportation, air and water, Silicon Valley Venture capitalist John Doerr will devote $100 million to green technologies. After successful investments in Netscape Communications, Amazon.com (AMZN), Google (GOOG) and other pioneering tech firms, Doerr and his firm, Kleiner Perkins Caulfield & Byers now, are placing big bets on an emerging sector he calls “green technology.” He believes this sector too could become as lucrative as information technology and biotechnology. This field of greentech could be the largest economic opportunity of the 21st century… There’s never been a better time than now to start or accelerate a greentech venture. Q#7: Is Christmas an Environmentalist's Worst Nightmare? ← How Eco-friendly Is Your Barbecue?